IBS Software (IBS) announced today that Air Canada has chosen IBS as its technology partner to power the airline's new loyalty program, launching in 2020. Under a multi-year Software-as-a-Service agreement, Air Canada will use IBS's iFly Loyalty Suite as the core technology solution for its new program. Mark Nasr - VP, Loyalty & e-Commerce , Air Canada with Peter Krebs - Head of Travel & Hospitality Solutions, IBS Software and Marcus Puffer – VP & Head of Loyalty Management Solutions, IBS Software, sealing the partnership "Air Canada has promised customers a new, industry-leading loyalty program in 2020 that will offer additional earning and redemption opportunities, more personalized service and an enhanced digital experience. Fulfilling these commitments requires having a modern, flexible and secure platform in place to support our program, and we have found the ideal solution through this partnership," said Catherine Dyer, Senior Vice President and Chief Information Officer, Air Canada. IBS' iFly Loyalty is a cloud-based loyalty management platform, which uses an advanced rules-engine paired with an extensible data set to design and operate innovative customer engagement propositions. The solution is designed to meet the complex and challenging needs of customer loyalty and customer engagement, and manage multiple program and partner ecosystems. 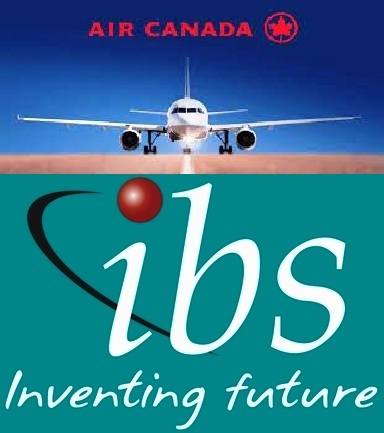 Apart from the platform's capabilities, Air Canada will also stand to benefit from IBS' deep domain knowledge and rich experience with large loyalty program transformations across the world. The implementation, slated to be completed in 2020, will see IBS' iFly Loyalty become the underlying core technology solution for new program.